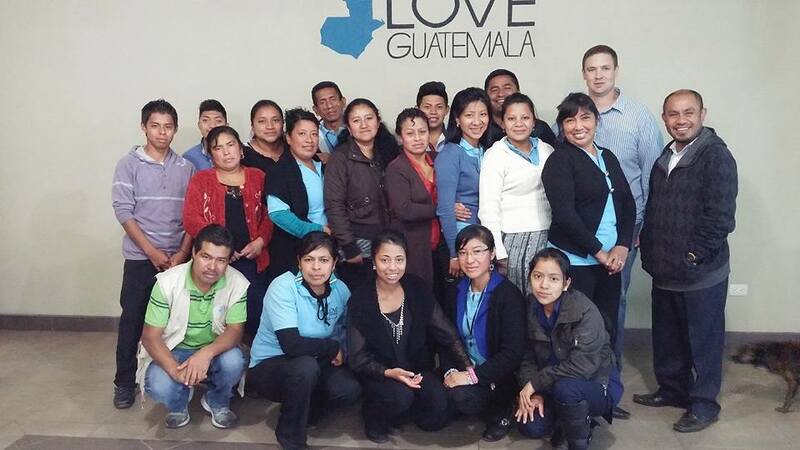 Ben & Jennifer serve in a leadership role with Love Guatemala. Ben & Jennifer have 5 boys and have been married for almost 17 years. 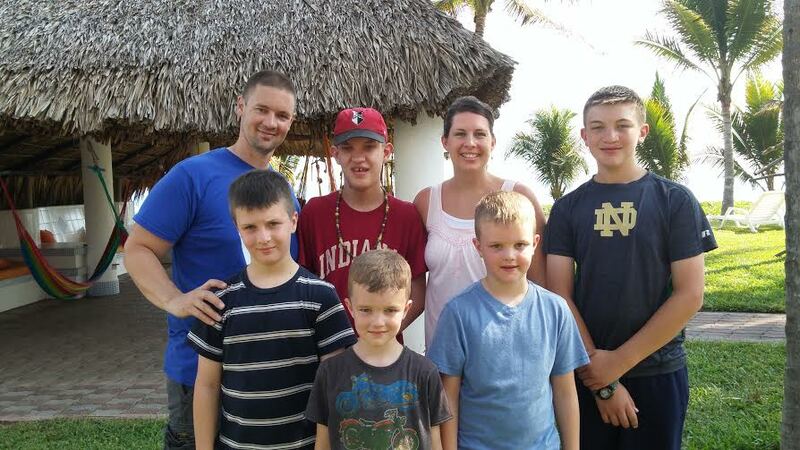 Before serving with Love Guatemala, Ben served as a Pastor at Indy Metro Church in Indianapolis, Indiana. 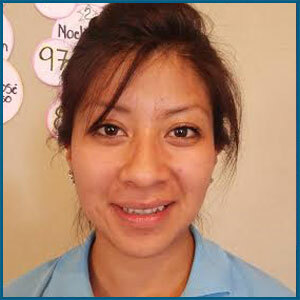 Jennifer first took a short-term trip to Guatemala in January of 2011. Through this trip God opened her eyes to the needs and opportunities to serve the people of Guatemala. But more importantly she fell in love with the people there. This love and passion was a constant thing even after returning. Through this process the Kunkel’s new that God had a role in serving with Love Guatemala in some form. Ben then took a trip to Guatemala in June of 2011 and sensed the Lord leading us to be involved in some way with Love Guatemala as well. After much prayer and counsel they decided that God was leading them to move to Guatemala and serve with Love Guatemala full time. Through a yearlong process of many challenges God continued to make clear this was the next step for the Kunkel family. They have now been serving for nearly 3 years with Love Guatemala. God has taught and grown the Kunkels in many ways during this time. God has made many changes with Love Guatemala as well during this time. The Lord has grown the trade schools and expanded the ministry. The Lord has provided for a 10,500 square foot Vocational Training Center where the vocational schools now operate. My name is Carlos Enrique Lopez Bautista. I was born November 6th, 1972. I was the tenth child of 11 in my family. My father was a farmer and my mom a housewife. At age 11 my Dad had my learning the business of making clothing. I learned how to make clothes at a very young age. In 1994 I married my wife Telma. We have 2 kids, Katherine who is 20 and Pabel who is 18. Our marriage was very difficult when we first got married because my wife’s parents didn’t want me and my parents did not want Telma. Thank God that now we get along well with our parents. In December of this same year we started a business making clothing. We had a production go bad of 800 pair of pants and we had to close the business. The Christmas of 1994 was the hardest Christmas for us. In 1995 it was very difficult as well because I was without work. We didn’t have money and we still had debt we owed for our business. In 1996 I started working in a store that made frames for paintings. It was there that I watched people paint and decided that I wanted to learn how to paint. So I taught myself by watching them at the shop paint and in July of 1996 I painted and sold my first painting. After that I began to sell many painting. I began to have money and with this began another problem. I began to drink and became an alcoholic. I was an alcoholic for 10 years and my life was a nightmare. Every time I said I would stop drinking is when I would fall deeper and deeper into it. This was very difficult for my family. My wife and kids prayed for me everyday that I would stop drinking. God rescued me from this life and did a miracle in my life. One night I got down on my knees and gave my life to God and he delivered me. God gave me the grace to live and care for my family and since that time we have made many changes in our family. 9 years ago, my wife and I began the art school to support children who did not have an opportunity to go to school. We wanted to give children the gift that God had given us in painting. We also with the help of friends in the United States started a cooking school and carpentry school. God has worked miracles in our lives and the lives of the students. Many have supported this dream we had and it is no longer a dream but a reality thanks to the support of many friends in the states. I am 41 years old. My growing up years were very difficult because my parents separated when I was 11 years old. There are 6 siblings in my family and I am the third of them. When I was 13 I started working to help my mom with my household expenses and with my siblings. I grew up with my maternal grandparents. I carry in my heart thanks to them I learned the value of respect love and work. When I was 20 my first daughter was born. She is now 20 years old. I had my second a son who died but for me it is a very nice memory. His name was Pedro. When I was 28 my son Carlos Fernando. It was a very complicated pregnancy but I was blessed because he is still with us and he is 14 years old. My kids are my reason to fight everyday to have a better life than I had. I have always worked to help with the expenses in my home. My husband met Carl Bunso and he invited him to work at the carpentry school. God had plans for our lives. We then met Sandy and she helped me to finish my nursing school. I currently work with Love Guatemala but more important is that I don’t only work but I am learning about the love of God. In the future I will have changes in my life because God is changing my heart. I am very happy to belong to this ministry. I have a husband and 4 sons. One is 18 years old, the other is 17, another is 14 and the youngest nine years old. They are my strength and my support in spite of the great sicknesses that they had had in the past. When I felt that I could not go one when we had no more money for medicine and my husband had no work I thought I was alone but thank God I saw a light in my house told me that it was not true and that God had plans for my life. It was there where God enlightened my life and was there where God enlightened my mind to help my family. It was there that first I delivered my life and my family. And then I wanted to study something and what went through my mind was to study cooking. I also knew that this was in the plans of God and this is why I want share with women so they can make their lives better as I am doing. Thank you for all you are doing! God bless you for your blessings. When I was growing up I went through many bad things. I always wanted to support people who were going through bad things and I know that God is good. I lived with people who drank and so I was afraid of people who drank was scared for my brothers to be with people who drank and could hurt them. I did not want to see other people in that situation. I wanted to say don’t fear because God is always with us in this difficult time. Sometimes it is so hard to see people living in this situation and when I remember I thank God for watching over me. Sometimes I remember things that happened and I feel sad and I cry because it’s hard. But after the storm comes the calm. I feel blessed for all that God has prepared for me. I never thought I would be an art teacher. But God had his plan and that’s how God has done great things in my life. The best of all is that God is perfect. Back when I was little I had a difficult childhood. I lived with my mother and her man who was not my father and my mother who loved this man a lot physically beat me and treated me badly. I could never understand why and why my mother would let him hurt me. I do not remember how many years we lived like that but I do remember that those years were difficult for me. When my mother and I returned to Magdalena to live with my brothers I thought that we would leave the bad behind but it was not like this because my mother’s family treated us very badly too. They treated us very badly because my mother had no husband. Everything was complicated and only people who supported us and loved us were my grandparents whom I Ioved a lot in my adolescence. I started attending church and I needed to hear and learn a lot about God and the truth was that this was the best decision I ever made. There I met God and he was what gave me the strength to go on. For a long time I was not in the church. I have gone through very difficult times. Before we had nothing and everything was sad. The love of God is incredible. I have no words to thank God for all the blessings God has given us. Now my family and I are very well. I have no doubt God is all love and God has always been by my side. I am 42 years old and there are 4 of us in our family, my wife Lesbia, and my daughter and son, Jaimie and Carlos. My childhood was not bad. I had a mom who loved me and taught me good things even though I did not know how to read she had patience with me and my dad corrected me when I needed it. They wanted me to go to school but when I was a teen I began to do things I should not do like drink, smoke and go places I shouldn’t go. They talked to me about God but I didn’t care. When I got together with my wife I came to live in Magdalena. Everything continued the same. I had a son, Pedro, who passed away when he was 5 months old. This was very hard but I still continued in life the same. My wife and I got married in 2002 and then I got sick in 2003. I was not able to work for 2 years. My wife has supported me a lot and she was always working. I decided to start a carpentry shop at my house but my health problems were very hard. My life began to change in 2012 when God gave me the opportunity to work for Love Guatemala in the carpentry school. I am in the place to serve and I know that God loves me and will never leave me and that he is good and has forgiven me. My name is Luvia Rosalba Xoc Puac, I live in Santiago, Sacatepéquez. I´m 24 years old. I study English in Antigua Guatemala. My father is a farmer and my mother is housewife. I have a brother and a sister. In my family we have always had problems, but thanks to God, He has helped us in all. My family is poor, but we never have failed anything thanks to God. When I was 16 years old I began to drink and smoke. But my life changed when I began to go at the church. I went to two retreats, in this moment I changed my life, and there I knew God´s love and He never abandon me. My life has been very hard, but God has helped me. My name is Katherine Lopez and my dad is Carlos Lopez and my mom is Thelma Lopez. I have a brother Pabel. About a year ago I started helping Love Guatemala with different small projects such as selling t-shirts, paintings and other things. I have always like to serve and it has shaped my life. I also know Love Guatemala is helping many people in Magdalena. Now thanks to God I am working for Love Guatemala as the administrative assistant. I feel very happy serving there. It feels like a big family and I know that God is doing big things there. I feel blessed and I am learning a lot of new things and especially more about God. I am very happy and I will continue helping Love Guatemala and those who need me when I can. Thanks to my parents, I have high school diploma in business administration. I grew up in a working family. My father’s name is Pedro López. He is 59 years old and he spent time in the army. After this he devoted his time to agriculture by planting vegetables and harvesting cornfields. My mother’s name is Antonia Perez. She is 57 years old and dedicated to selling vegetables. I have three brothers and one sister. Like all families, we have had very bad years like the one year when they tried to burn my house because my uncle won the election for mayor. They also beat my brothers. After that, my brothers began to have vices and debts and were mugged. In 2011 we were robbed and we lost four family members. Another month, my sister had an accident where she was thrown from a truck and left paralyzed. Thanks be to God a miracle happened and she is no longer paralyzed! My family always looks to rise against what life has brought us. I am grateful for the opportunity to teach and invest in the people God has entrusted to us in the Literacy Program. Thanks for praying and supporting us!